#MSWL : women, diversity, and #ownvoices in sci fi. Also desperately in need of a fantasy that takes me to an unexpected, far off land. Preferably with LGBTQ+ elements. 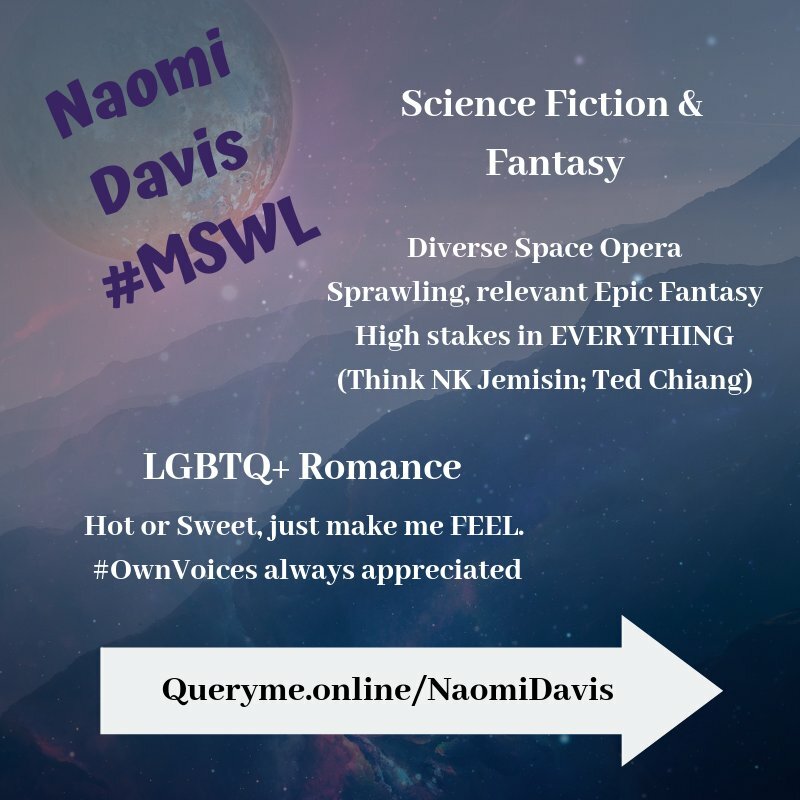 My #MSWL always includes sff and diversity, but please send me allll the women and LGBTQ+ characters in sci fi! #MSWL sci-fi that has an unexpected&captivating structure. Characters that have layers upon layers of depth. Sci-fi elements that inspire MC to change. One of my favorite SF movies/stories is ARRIVAL/STORY OF YOUR LIFE(Ted Chiang), for the unique time&relationship layout. #MSWL LGBTQ+/Diverse characters a plus in all submissions. #MSWL Adult fantasy with wild new magical systems/belief structures/world structures. Lace the magic into the world in surprising, original ways. Vivid settings, towering stakes, dynamic voices. Confident, unique perspectives. LGBTQ+/Diverse characters a plus.